I am often asked what is the best virus protection? Malwarebytes. As a Microsoft Certified Systems Engineer and programmer who has fixed hundreds of infected PCs over the last 20 years of running my own IT company, it is the only product I can recommend. Every other product I have used (or had clients use) has not worked as it should. Other anti-virus software doesn’t detect all the nasties. Recently I had a user with a brand new computer with up to date Trend Antivirus, and in less than a week their computer was heavily infected. I installed Malwarebytes, which promptly found 936 gremlins, none of which Trend even noticed, let alone tried to stop. Malwarebytes removed them all successfully. Why didn’t Trend work? Because most anti virus software like Trend, McAfee, Norton and others is they call themselves “antivirus” and they ignore other nasties – like malware – and they also ignore programs that aren’t viruses, but do annoying things like change your home page. Other software is too limited in scope. Malwarebytes finds, stops and removes all threats- viruses, malware, rootkits, things that change your home page – everything. Norton Antivirus is a pain in the neck. Every time you want to play a game or install a network printer it fights with you, asking for exceptions to its firewall, and so on. Malwarebytes doesn’t. You only see Malwarebytes if there is a problem, and mostly all you see is “website blocked” for bad links and so on. It works, but doesn’t get in your way. Malwarebytes works with the built in Windows antivirus and firewall so you can still install software and connect things. I used to recommend AVG, but after about 5 computers with AVG running (and up to date) became infected, I needed to find a different solution. I have been using and recommending Malwarebytes for several years now, and not a single infected PC where Malwarebytes was running – but you need to get the paid version. The free version of Malwarebytes is OK to clean up a mess, but if you want to stay safe all the time, the paid version runs constantly in the background and will stop you going to virus infected websites and stop infections before they get to your hard drive. Probably not. No antivirus is going to stop you if someone calls and pretends to be the police and asks you to transfer money to the UK. Your bank might though. Likewise if scammers call and pretend to be Telstra or Optus or Microsoft and send you to a web page to install hacking software, then anti malware has a hard time preventing you from installing things you ask to install. I advise people to treat all inbound calls, emails and popup messages on your PC as suspicious. And protect your PC as best as you can, and for that as far as I am concerned there is only one tool worth buying. Please, could you explain why Malwarebytes is so effective with such a small amount of signatures ? A scan with Malwarebytes takes less than a minute on my Mac. A scan with another antivirus app, more than an hour ! Is it just a good choice of real nasties ? Thanks a lot. Best regards. I own one Mac, and about a dozen PCs – and I love my Mac. I don’t know first hand how effective Malwarebytes is for Macs – I’ve never seen an infected Mac. I’ve seen literally hundreds of infected PCs. 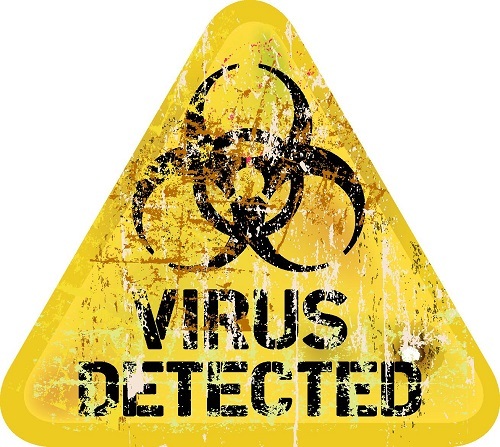 At present there are only about 12 viruses in the wild that can infect a Mac, compared to millions that can attack a PC. So it makes sense a Mac virus check should only take seconds. Enjoy your virus free computing!